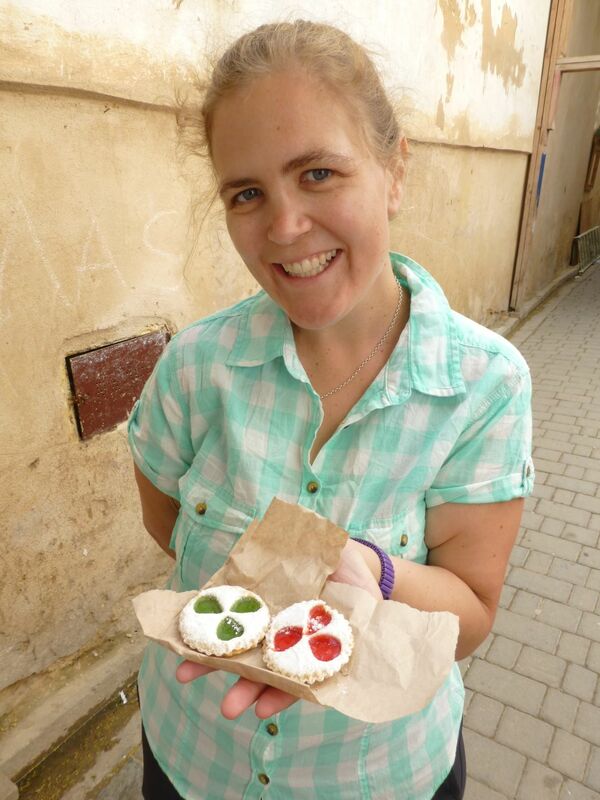 So, you might be wondering – what did we like about Fes after our rough start? Well, we did manage to find a few things! 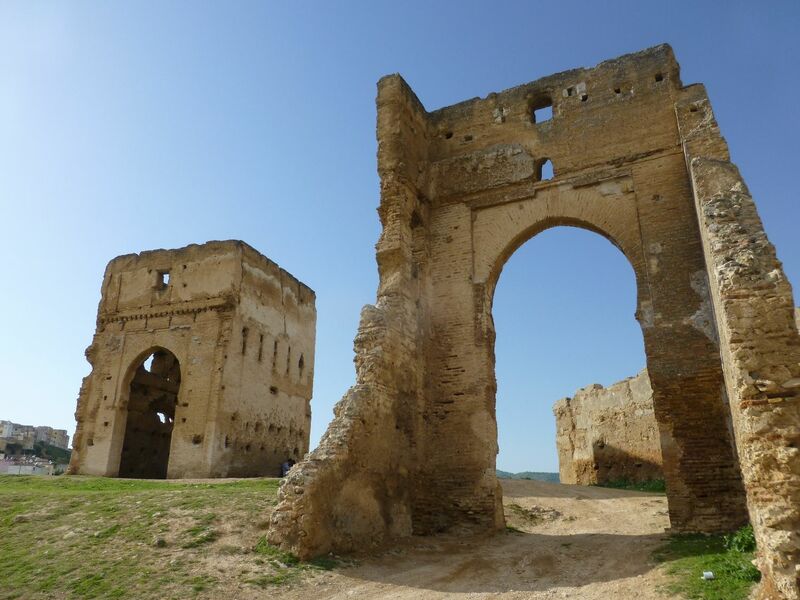 We had two full days in Fes as well as a side trip to the fabulous Roman ruins of the city of Volubulis. In between the lowlights, we found some awesome things. 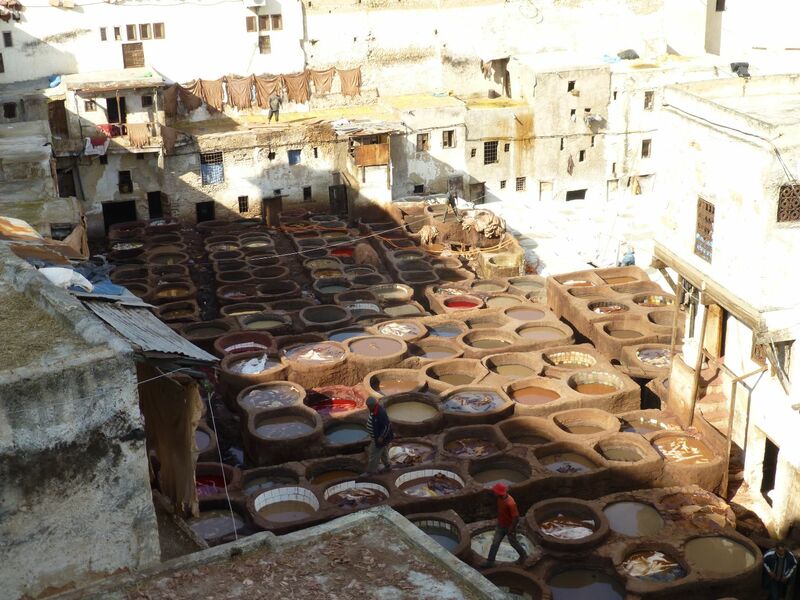 The whole of old Fes is a medina – a walled city, full of mosques, souks and shops as well as houses and riads. The entire space is car free, and it’s huge – the wall surrounding it is 19km long! 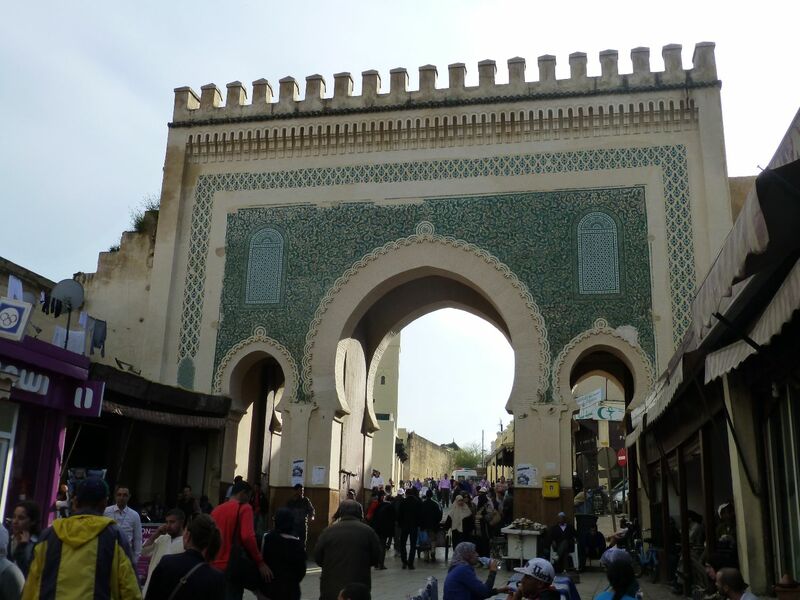 Our first highlight was finding the main shopping streets in Fes. Here, we browsed and found a perfume shop – they mix up imitation perfumes right in front of you – I came away with a $3 NZ bottle of imitation “Dolce and Gabbana – the One”. 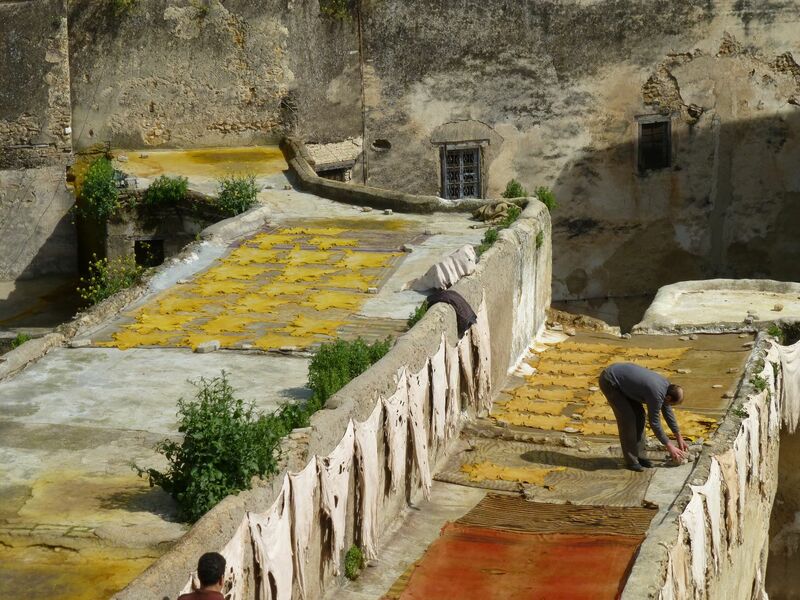 We also found the more famous tanneries (pictured above) – finding a place to see them was harder but they were visually stunning. 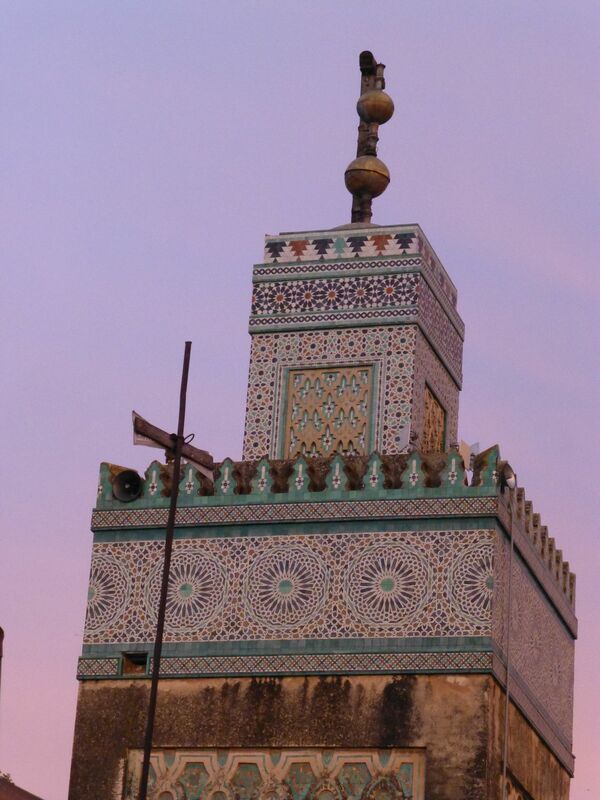 We saw the outside of the Kairaouine Mosque – as non-Muslims we weren’t allowed in. 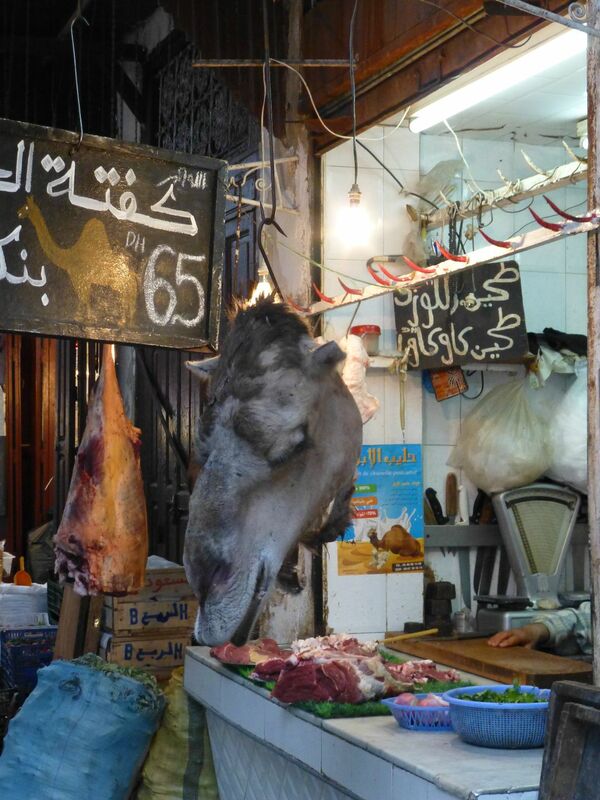 We wandered the streets, finding arches, endless winding alleys and camel’s meat for sale. 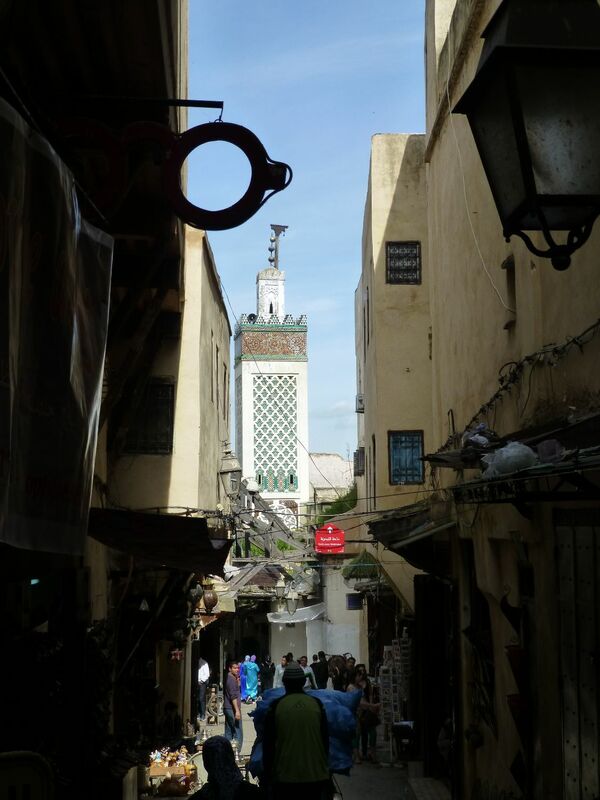 The medina was crazy and we had to come up with landmarks to find our riad again. Our route from the main road was take the random alleyway, turn right at the street seller with the orange masks on the wall (just hope he hasn’t covered them at night!) keep going past the hairdresser with the picture of three women in the window, turn left through the dark overhanging alleyway, go up the stairs to the right, turn left at the blue star and then turn right at the point on the wall where the graffiti says 2Pac. 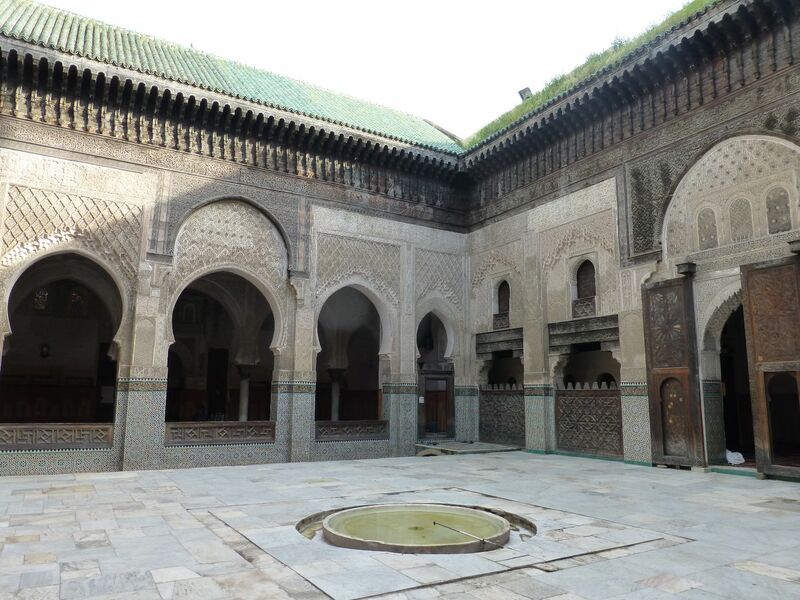 Then the riad will be on your left! 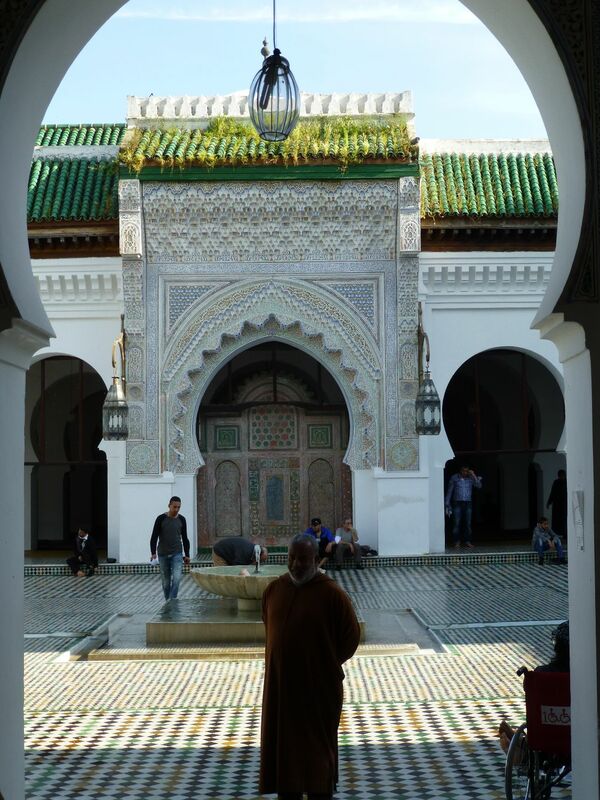 We visited the theologicial college Bou Inania Medersa, a beautiful oasis of calm in the heart of the medina. We people watched while eating couscous and tagine, and found a great relaxed cafe to watch the sun go down from. We shared mint tea and chats with Mohamed, our riad manager. 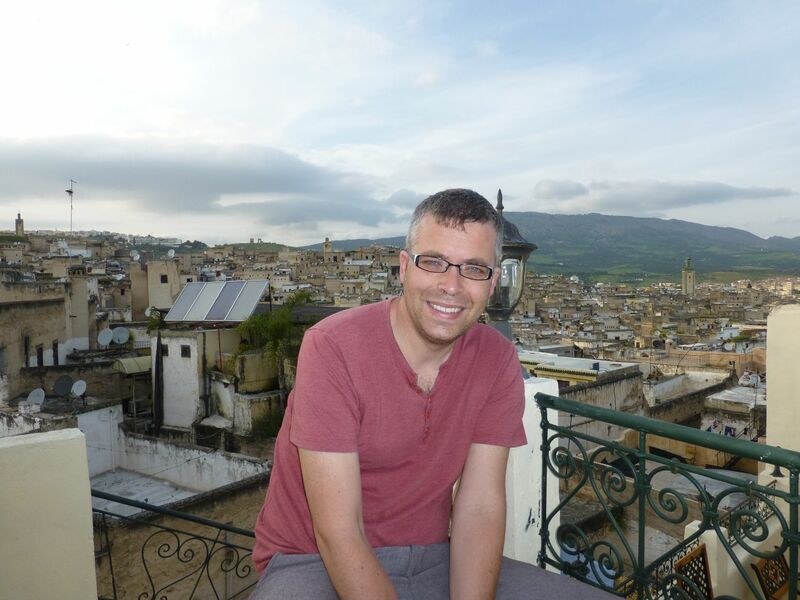 Our riad was beautiful and had great views of the city from the rooftop terrace where we took our breakfast. 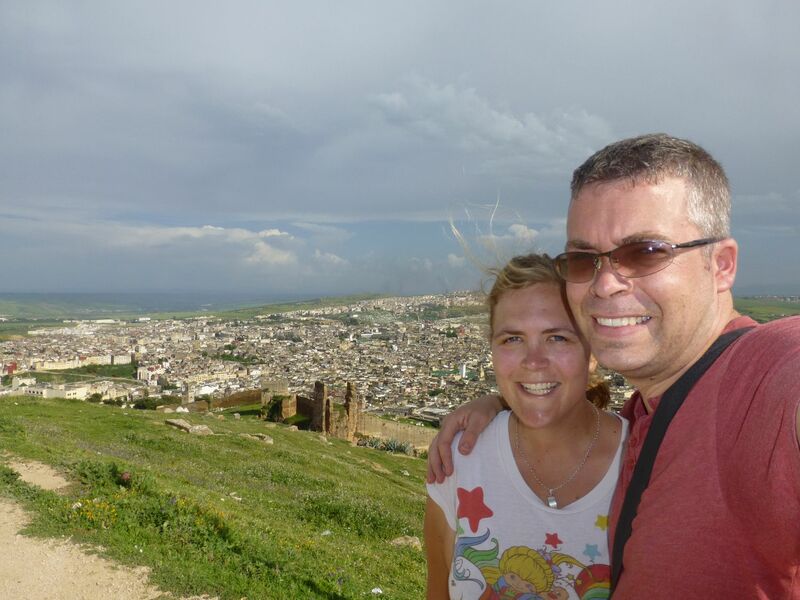 Fes grew on us, and although we didn’t enjoy it as much as Chefchaouen, it was definitely an experience! 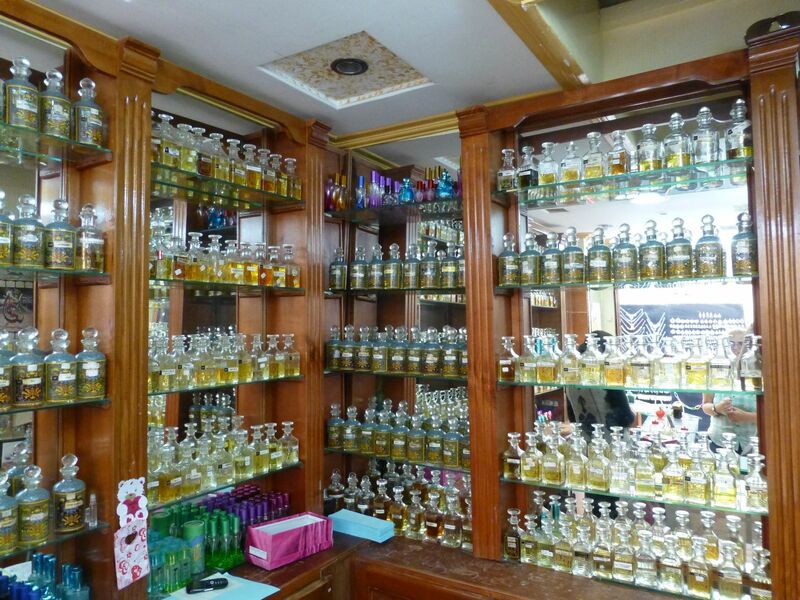 I would like the perfume shop, with all those pretty glass bottles. And I loved your landmarks for your route back to the riad!! It’s great that you found some positives in your Fes visit.